Yes, it was Rexolite. I have that PDF on my machine, to explain to people about why RCA left the broadcast transmitter business. The decision to use Rexolite in the PA cavity was a really horrible decision due to how flammable that material is. And yes, those silver plated tuning and loading inductors got trashed in the worst environments and tarnished in less brutal environments. The gentleman who did that site, happens to be a really superb broadcast engineer, and designed and built a homebrew transmitter for a station. I understand that 15db refers to RMS while 52db does to peak to peak value. Am I right? @Steve Hoffman Looks like you missed this. Sorry. Yes, you have it right. I have a story about compression. I was sitting there in a place just looks like a spaceship with all the endless equipment which was very cool. if for him to turn dr 12 to 6 it's not too much so what is too much? not loud , Dr is 11-12 ,it sounds more a lively but without being loud and sterile. music which I take part in is on a label. My friend also understood my insistence and he is happy with the new results. would you please explain me the difference between Limiter and Maximizer? Robert C and Grant like this. my music is on a label. My friend also understood my insistence and he is happy with the new results. In the old analog world, a limiter meant you could have normal dynamics up to a certain stopping point and then the signal was crushed depending on how hard you hit it. A compressor meant that it was always working, changing a 20 db dynamic to maybe 12 or 15 depending on how hard you hit it. But it was always working, not waiting for something to hit the threshold like a limiter. A maximzer? To me, that could be anything, but I've never heard it sound good, it's like a compressor on stun with limiting at the end. Reduces dynamic range, kills transients and generally ruins the sound. That help? Remember, this is the old school explanation. SandAndGlass and Front 242 Addict like this. James Bennett and Steve Hoffman like this. Grant and Front 242 Addict like this. Try listening to an orchestra OUTSIDE. Sounds like dead crap, right? You need the concert hall just like recordings need compression. "Threshold checks for a number of consecutive samples at full value to determine whether clipping has occurred. 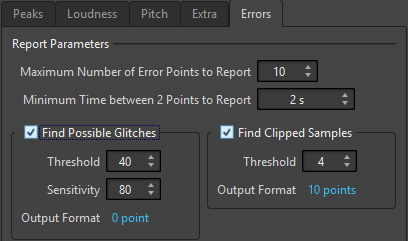 The Threshold setting determines the exact number of these consecutive samples that must occur for the program to report clipping."